Donald J Trump – bad, mad or good? Here I bring together my main blog postings concerning Donald J Trump. These relate to the time he first came to my attention, around the beginning of 2016, although I was aware of him long before that, due to his having put his hat in the ring as a potential US Presidential contender, until the present day having achieved that particular goal and faced with the daunting task of leading a great nation and arguably the free world, now faced with many obstacles and opposers, yet notwithstanding is doing a lot of what he said during his campaigning at an incredible rate. A great deal of water has flowed under the bridge since becoming President and whatever happens next there is little doubt a lot more is still to come. Arguably Trump has triggered a global revolution that will continue regardless whether he continues as President. During this period, I have gone from seeing Trump as more bad or mad than good and, unlike many I rub shoulders with, especially on social media, to being more good than bad or mad, and this to significant extent is because he is closest when it comes to sharing my worldview and I truly believe him to be a catalyst and instrument to dealing with high level corruption. My eyes have been gradually opened to things I hadn’t been aware of before and still I realize how little I really know, but at least I now see the possibilities. While nowadays I am more pro-Trump than anti-Trump, he definitely does not get a free pass when he is wrong, which he often is. It is true I like his respect for religion and religious sensibilities, but until he does a Zaccheus and restores four fold to all who he has cheated, I will always be wary. I do feel on balance he does not get a fair press and making correctives like this of particular value and, despite being the man at the top, I suspect there is a lot he has limited control over. I hope for serious Trump watchers this will be a useful addition to the plethora of material that has been written on this person who can be rightly described using many, wide ranging adjectives, although I suspect the ones people use will depend on how they see him, and people do see him so differently. Regarding the content of this e-book, this is mainly to be found following the links that follow. It is not so much about arguing whether Trump is bad, mad or good but more to do with checking up on events that occur around the time I write the individual articles and critically reflecting on how Trump is doing, leaving readers to decide where he lies on the good – mad/bad spectrum. But even then, one should bear in mind that my interest is less in Trump the man but rather the implications of his actions etc. And as for Trump the man, I for one would not invite him to pastor my church but then it was not a pastor the American people voted for, but rather someone to stick up and fight on behalf of his country and tackle the evil of globalism, which from where I am sitting, and despite many obvious faults, he appears to be doing rather well. 08/04/19 Why are so many people against Trump? 06/08/18 Why is Trump so divisive? 11/02/17 What are Trump’s strengths? 04/01/17 Countdown to Trump’s inauguration – scary!!! 30/11/16 Is Donald Trump the AntiChrist? 02/10/16 Donald or Hillary – three quite different views!? 01/08/16 Hilary or Donald – the Christian decision!? 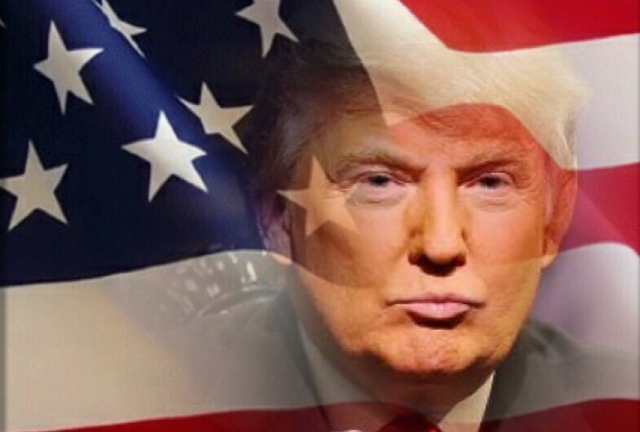 09/12/15 Donald Trump for President! ?